Governance or Greed? | Governance or Greed? In 1999, peer-to-peer file sharing became popular with the advent of the application Napster, which enabled the sharing of mostly MP3s between users, most of which was downloaded illegally. Although it reached its peak in 2001 with 26.4 million users worldwide, the RIAA retaliated accordingly i.e. they let their armies of attorneys loose and shut them down (but not before they settled with Metallica and Dr. Dre). 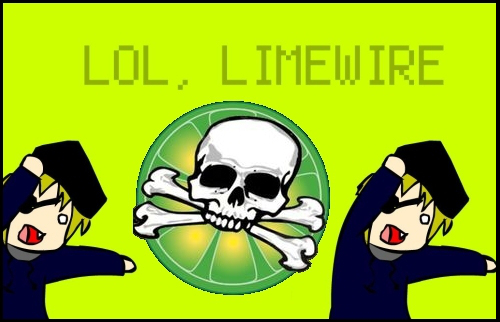 By then it was too late, as more sites like the now-defunct Limewire and Madster popped up in dandelion-like fashion. Specific protocols like BitTorrent also emerged and in turn it was used by The Pirate Bay, which was started by a Swedish anti-copyright organization. However elusive, the powers that be have managed to catch up to the latter as recently as July of this year when one of The Pirate Bay’s co-founders and a few others were finally arrested, sentenced to less than a year in prison but hit with $6.9 million in fines from both the Swedish film and music industries, respectively. P2P sharing is a physical representation of globalization but these cases show that it has to be restricted in lieu of copyright law. The response to illegal downloaders is justified but to these extremes seems a little harsh; it’s clear the RIAA and other bodies like it are trying to send a message. Presently, as record sales falter in comparison to their peak, more artists are releasing their music for free and/or allowing full streams of their albums. With these new developments and the transition from ye olden days of the industry, it seems now that those exorbitant fines were simply a money grab for the organizations. This is an cool example, Laurel. I think it is particularly interesting that you mention anti-copyright organizations, who play an interesting role in ongoing debates over internet governance. Copyright law is simply unable to cope with the Internet. I find it completely ridiculous that Youtubers are being slammed with million dollar lawsuits for using music in their videos! If copyright law cannot to be adapted to modern information technology, perhaps it is obsolete. I agree Kaitlin; from a creative aspect I can understand trying to maintain control and application of credit to their work. For example, if a YouTube user adds a disclaimer to their video then it should be okay, plus it can also serve as free advertisement for the artist. It seems like a big task to revise copyright law to address issues in modern technology but it’ll serve the public well and not give these companies so much power. I would agree that for the most part illegal downloading does hurt certain artists but it can help others. For example, bands that just come out or a looking to get their material into the hands of listeners can and should use p2p sharing to complete this goal. I do not beleive that sites like the piratebay and kat.ph should be shut down because they contain access to much more material than purely items that are copyrighted. It certainly is a contentious issue but thought should be put into long term outcomes from these sites being shut down. I agree, plus I know that some people are accessing things that are really expensive for them, overpriced or aren’t available where they live. It provides greater access in many forms. I think that now more artists that release free mixtape or stream new albums in their entirety for free are basically adapting to the download culture we’ve got going on now and if you think about it, they make more money by touring and performing live than selling records, especially with record labels taking a substantial piece of what they earn. Although recently Taylor Swift took all of her music off of Spotify, I think there should be less friction with sites like them because even people pay for songs, at large the money isn’t all there for the artist. Nowadays there are also ways in which companys can, in a way, sidestep this loss of revenue from illegal downloading. We can see this through the “steam” medium that involved video games. A very commonly downloaded media platform is video games. Through steam individuals may not have access to games unless they have a “Steam” account. If an individual tries to pirate a game the system can put out an alert and this particular account can be shut down. In this way the video gameing industry is starting to become in a way “self” governed as people do not use illegally downloaded soft ware because there is a high chance of being held accoutnable for the action.